SALE!! 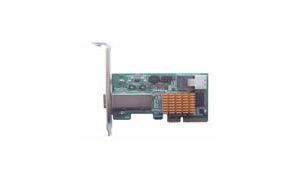 4 External, 4 Internal SAS/SATA Ports, PCIe 2.0 x4 interface, RAID level 0, 1, 5, 10, 50 and JBOD. Low profile with small form factor. Both low profile and standard height brackets included. Hard Drive LED Indicators (Active and Failed) for internal channel.